Well, we made it through the first week of school with flying colors! Both kids are loving their new teachers and classrooms. Hubby is adjusting to a really busy teaching schedule - 6 classes @ 3 different colleges, while I'm getting used to a new work schedule & having the house to myself all day. In our experience, the key to a successful school year is organization - managing all of the little details & tasks that need to be completed on a daily basis. Even better if the kiddos are given the tools to keep track & complete some of their tasks on their own. Shannon, our 8-year-old, is starting her second year of violin. She is a very visual person who likes lists, so I thought having a practice chart would be very helpful. A visual reminder, it eliminates me having to nag her about practicing and gives her a sense of accomplishment when she adds a circle to the chart. The circles are attached to the squares with Velcro dots. 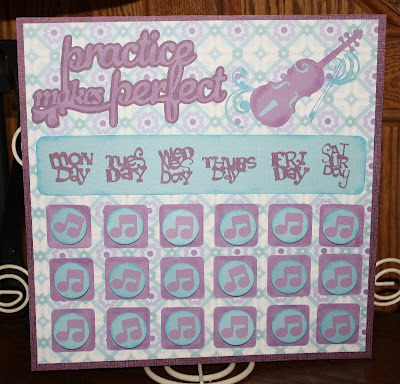 The title & violin were cut using the Cricut Quarter Note cartridge. 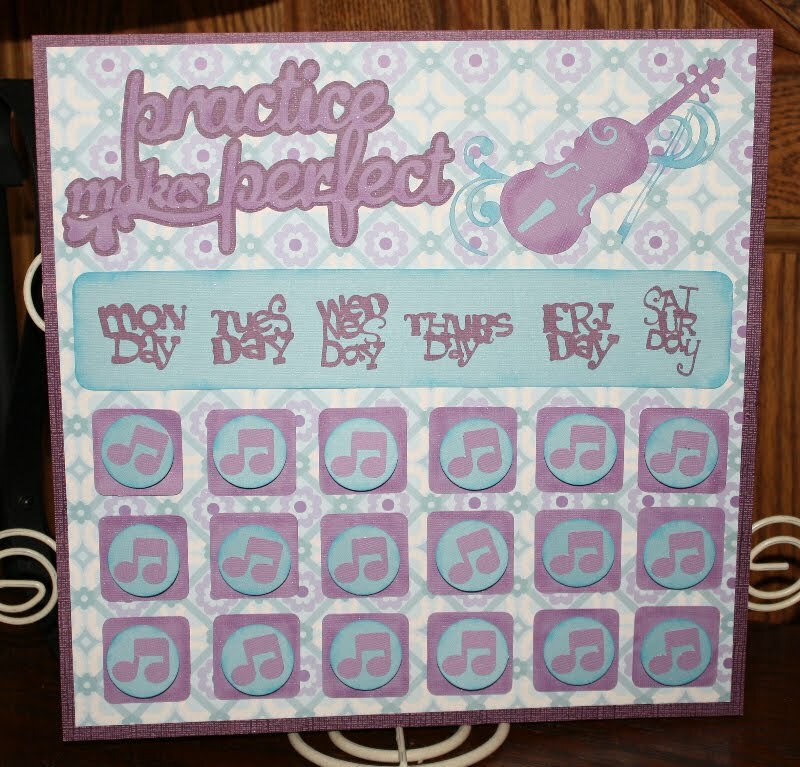 The days of the week (she doesn't practice on Sundays), squares, circles, & music notes were cut using the Cricut Lite Chore Chart cartridge. Pearlescent Chalk - Pebbles Inc.